Scarlett getting her Global Entry as a baby. Global Entry is THE must have tool for travelers… even if you only travel a handful of times each year. It helps you skip lines at the airport, saving you massive amounts of time and frustration. At $20 a year, it is the best bargain in travel, and you may even get reimbursed for it through your credit card! How can I get Global Entry for free? Global Entry is a program that allows you to skip the normal lines at customs because you are a “trusted traveler”. By submitting basic information and undergoing a background check, the government feels that you are less of a threat, therefore you benefit from expedited travel through dedicated lanes and kiosks. In plain English… by submitting to a basic background check, you skip ahead of everyone else when returning to the US from a trip to a foreign country. TSA PreCheck is the domestic version of Global Entry and it comes included with Global Entry! When flying domestically, you use a dedicated lane at security and do not have to undergo the more stringent check by TSA. You do not have to take off your shoes, remove your 3-1-1 liquids or laptop from your bag, and you’ll go through the metal detector instead of the “nudie scan” machine. Signing up is super easy. Just go to the Global Entry website and enter your information to sign up. The whole process should take less than 15 minutes. You’ll need your passport information to complete the process, so keep it handy. Once you’ve completed your online application and submitted payment, you’ll wait a week or so for the TSA to complete the background check. Then you’ll receive notification to schedule your in-person interview, which are primarily done at airports. Click here for the Global Entry interview locations. When you arrive for your appointment, you’ll answer a few basic questions, get your picture and fingerprints taken, then you’ll be on your way within 15-30 minutes. You’ll receive your Trusted Traveler number at the conclusion of the interview and your Global Entry card will arrive in the mail within 2 weeks. Yes, it’s so easy, even my 7 month old baby can do it! We schedule our interview at LAX airport’s Tom Bradley International Terminal… and it took longer to drive to the airport than anything. From the time we parked, did the interview, and until the time we left the parking garage, the whole process was less than 30 minutes. Scarlett’s Global Entry card arrived within a week of our interview… and she had her Global Entry number ready to go for our trip to San Jose del Cabo, Mexico in mid-October! Numerous premium credit cards are now offering reimbursement for the $100 Global Entry application fee. They also will reimburse the $85 application fee for TSA PreCheck, but why not spend the extra $15 and receive Global Entry? Even if you don’t have any plans to travel internationally right now, it is good for 5 years and your travel plans could change… especially if you learn how to travel for close to free reading this site! From American Express, you can receive reimbursement from the Platinum personal and business cards and the business Gold card. For these business cards, if you have additional cards on the same account, they are also eligible for the reimbursement, but you have to make sure to charge the Global Entry application fee to each separate card. You cannot charge multiple application fees to the same card and expect reimbursement, no matter how many additional cards you may have. 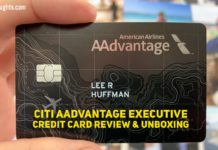 From Citibank, the AA Executive card and the Prestige card also will provide reimbursement of the $100 Global Entry application fee. In all cases, you can only receive the benefit once every five years. I’ve had all of these cards, so I’ve paid for my fee, as well as Anna’s, the kids, and my mother-in-law. Remember, although these cards offer reimbursement for Global Entry, they do have a large annual fee. Generally their fees are around $400 a year. There are many other perks that go along with the cards, but don’t apply for one of these cards just because you’ll get $100 reimbursed. Global Entry is one of my favorite travel tools. It does what I like best… save valuable time for the economical price of $20 per year. It is very simple to apply and the interview process is less than 30 minutes. 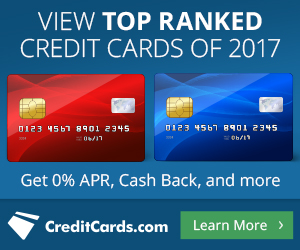 If you use the right card, your net cost can be $0. I’d recommend you apply right away. Previous articleWhat will your Back to the Future moment look like?